This week’s Sunday Stills Photography challenge is all about texture. Textures occur both in nature and in human-made materials, and it all around us. A random photo of a mundane item can yield extraordinary textures you might not have noticed with just the naked eye. In texture photography, it’s all about patterns, colors and depth, and every single detail of a texture plays a significant role in the overall perception of the photograph. 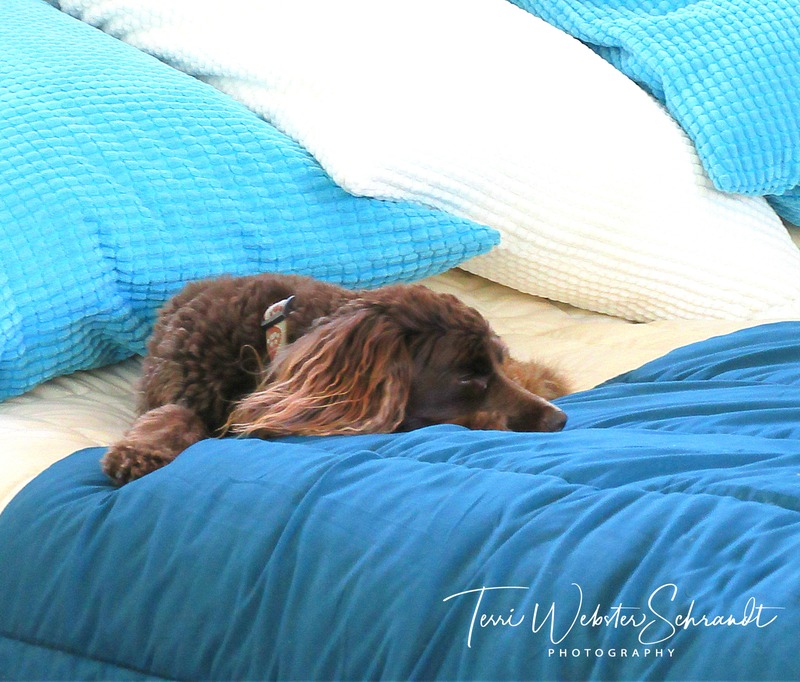 This photo of Aero laying on my bed shows the contrast in textures of his cocoa-brown fur against the soft textiles of the bed linens. 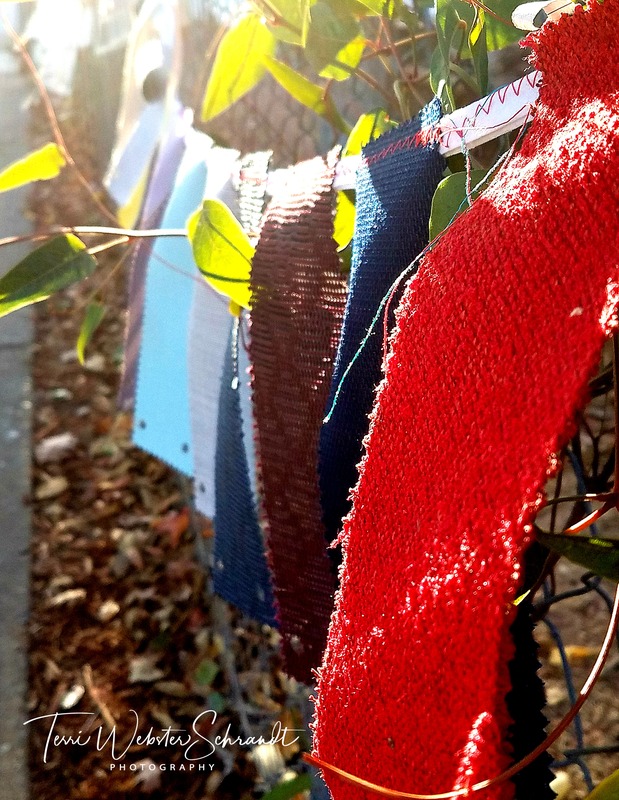 In this image captured at our local elementary school, I love the textures of the flags hung on the fence. Texture can appear both in macro photography and in landscape photography. 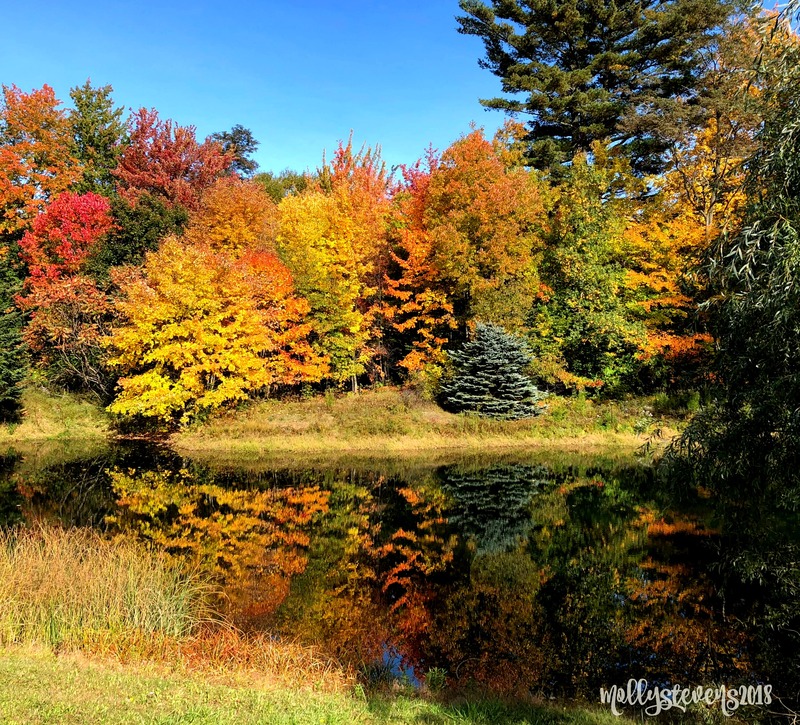 Today I have the pleasure of sharing two photos by Molly from Shallow Reflections. She mentioned Maine has its peak Autumn colors now and graciously sent me several photos to use! Molly also sent me this stunning Autumn image of trees reflected in a lake. I’m sure the live view showed the textural contrast against the reflected two-dimensional view of the trees. I’m submitting Molly’s beautiful tree image for this week’s Sunday Trees. And for Dawn’s weekly feature Festival of Leaves. Textures can also appear in music, food, writing, the list goes on. How will you interpret “texture” this week? Please link to this post and add to the link-up! Beautiful photos, Terri, and a wonderful visual interpretation of the “texture” theme. I just want to join Aero on your bed and snuggle with him for hours. 🙂 Fall has been following us on our way south as well. Or, have we been following fall? Aero is snugly indeed! Perhaps a little of both for following Fall, Liesbet! Love Aero on the bed! Texture is such a wonderful word for photographers! Here’s my entry for this week. I love Maine and that picture of the colors makes me want to go there in the fall! We have only been in summer, when we go on a windjammer for a week. I think I am pretty aware of textures because of the how the play of textures makes home décor more interesting. I am always adding texture with a throw or a pillow or some other kind of home décor. Even with beautiful colors or patterns, things always look flat without texture. I’ve always loved how a good image (or image prompt) sparks a great blog post! Thanks so much Terri, I’m glad it worked out. Hi Donna, I’m so glad you could join us. Your photography is stunning! You are so right. Texture is all around us. You have a great gallery of photos. Thanks, Cee! I’ll be checking your link shortly! 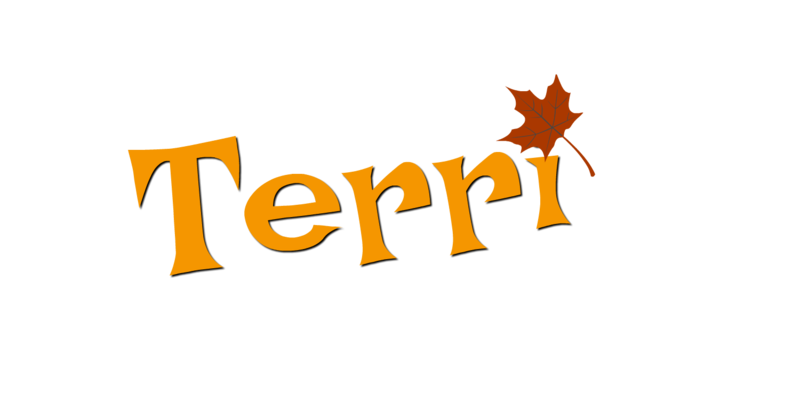 Plenty of autumn colours here in Wales, Terri. We’ve also just had 7 inches of rain in two days, so many of the leaves have come down in the 70mph winds that came with the rain. Molly’s photos are amazing. She’s captured autumn at her very best. Autumn and Halloween are so fun! I’m so glad Molly could share her Fall in Maine with us, Hugh! We are in the 80 degree temps this week (again) with north winds. Worried about fires, but rain is rumored to be on the way! Sounds cozy in your part of the world!! I can feel the textures from here, Terri. Great prompt and beautiful photographs (as usual)! Fall is full of texture (as some of the “fall” keeps texturing my floor) that my dogs drag in! Thanks so much, Donna! I saw your birthday is today as I write this and I hope you are having a wonderful day. My hubby’s was yesterday and he did it up big! Hi Terri, I love the texture in the flags photo. I was trying to figure out what it was! Molly’s pix of the trees/lake is stunning. I didn’t know she was a photographer as well as an excellent blogger!! I already knew of your amazing talent! You are too kind, Melinda! I can’t wait for Molly to start submitting to SS! Such rich texture in those flags. You can almost feel the weave in your photograph. Beautiful photos as always. I need to check out my pictures so I can do textures. I do think this is a perfect season to showcase the textures. We just drove down the mountains in the snow and it was a gorgeous mix of soft and hard and colors!! Oh I’ll bet, Jodie, sounds beautiful! All of the photographs are beautiful. You bring up an interesting point in how texture shows up in music, food, and writing etc. It challenges me to look at my life and be more observant of the texture in my day to day activities. I love all the texture! 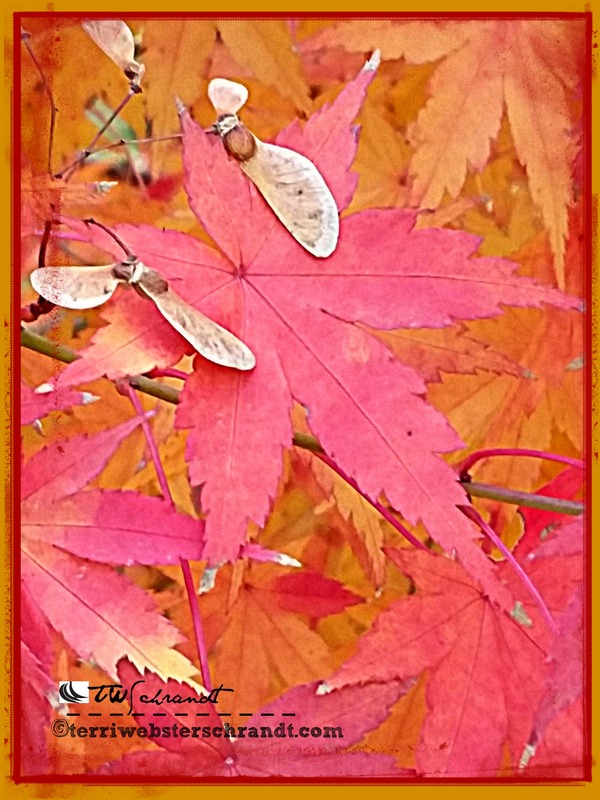 I especially loved the autumn photos… I’m am always blown away by the color of changing leaves. Great prompt this week… it looks like you inspired many of us! I am BUSY with all these links, glad you got to participate with yours! I saved this prompt just for this month! Fabulous topic and pictures, Terri. I joined in this week. Oh I bet you will have some incredible edible textures to show us! Nice selection of photos. I like the flags and their chunky but soft texture. Here’s my offering: https://grahamsisland.com/2018/10/14/moss-on-bamboo/. I love all your photos featuring texture, Terri. The photo of Aero is a great representation of texture as is the one of the flags. And thank you for including two of my pictures in this weeks’ Sunday Stills. I was so excited to see which photos you chose from the ones I sent you and I was not surprised about the gnome. I was positive you would use that one! We’ve just passed our peak foliage so I’m glad I got the shots I did last weekend. It’s still beautiful but we had a lot of wind last week so lots of leaves have fallen. Did I tell you I’m going to retire? My last day of work is 11/2, so maybe then I can do some photo challenges. I would really like to do it! completely retire? How fabulous! You definitely have a knack, Molly. Can’t wait to read what you have in store for us if you write about your retirement! Oh that’s great, Tina, I’ll be over soon to check it out! 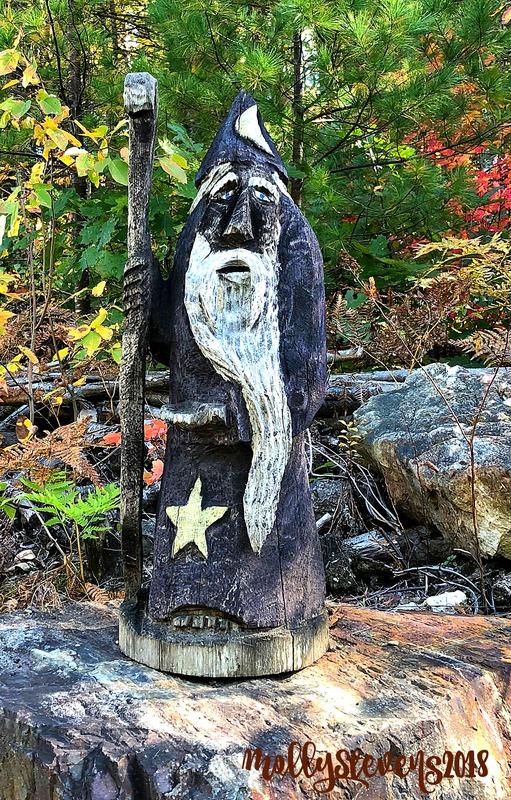 The autumn image from Maine is of course, stunning, but yours is so artsy! Thanks for linking up. Yes, it is early here too.